On October 22, Tempest Flute Ensemble presented “In an Autumn Garden” as part of the Chrysanthemums & Maple Leaves Festival of Japanese music, organized by the Vancouver Intercultural Orchestra. Co-presented at the Orpheum Annex (Vancouver) by Tempest, VICO, and Redshift Music Society, this concert featured the music of Brian Harman (Toronto), Hiroki Tsurumoto (Washington D.C.), James Beckwith Maxwell (Vancouver), and Takemitsu, along with a plethora of performing guests, including sho virtuoso Naomi Sato from Amsterdam, flutist Jeffrey Stonehouse from Montreal, Tiresias Duo (Vancouver), and Vancouver percussionists Jonathan Bernard, Martin Fisk, and Brian Nesselroad. Along with Tempest’s premiere of Tsurumoto’s “Cursor 4”, Sato and Stonehouse premiered Harman’s “Orbits” for flute and sho and Tiresias Duo premiered Maxwell’s “ruduo” for flute and piano. The evening culminated with a special performance of Toru Takemitsu’s “In an Autumn Garden” — originally scored for gagaku (traditional Japanese court orchestra), our performance was a special arrangement for the combined forces of Tempest, Tiresias, Sato, and three percussion. Special thanks to our conductor, Edward Top, who learned these complex scores on extremely short notice! 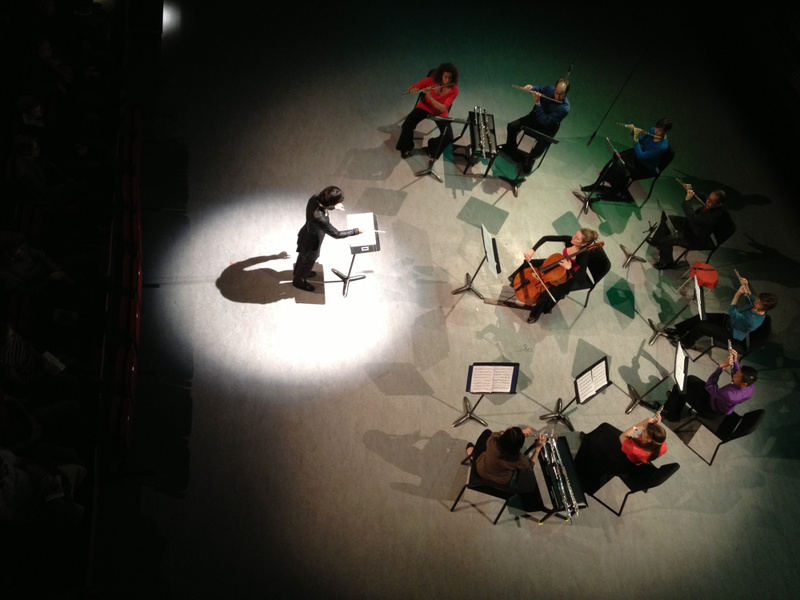 Tempest Flute Ensemble with conductor Véronique Lacroix & cellist Mariève Bock. Welcome to the home page of the Tempest Flute Ensemble, Western Canada’s premiere flute ensemble, dedicated to the promotion and performance of the music of our time. In recent history, the “flute choir” has been a much-maligned ensemble, despite a rich history that dates back to the Renaissance. 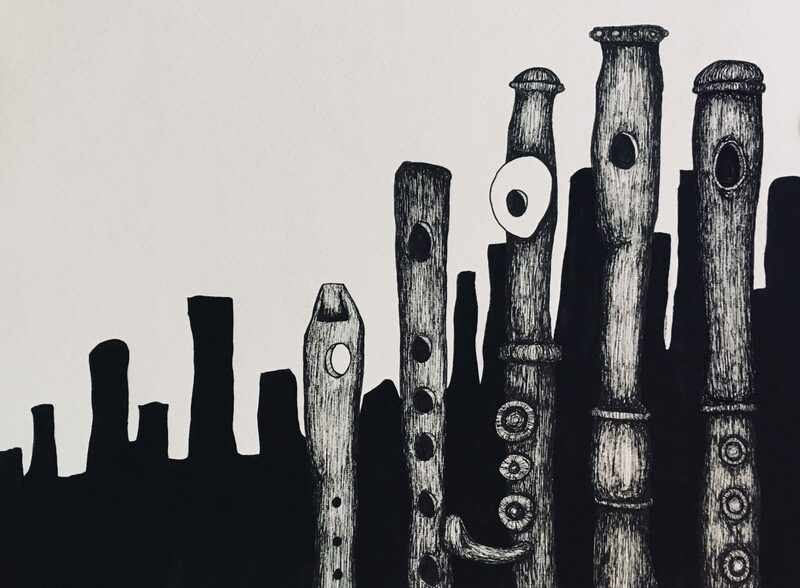 The Tempest Flute Ensemble is dedicated to revitalizing the genre with the commissioning of new works by Canadian and international composers and performances full of virtuosity and verve! To learn more about the ensemble — our personnel, our vision, as well as videos of past events — please click the links above. This page will be updated regularly with news about upcoming events, photos, soundclips, as well as articles relating to flute playing and flute ensemble. Enjoy your visit!